In the last year cancer claimed the lives of more than 4,000 people in Northern Ireland. Of the 15,850 people who died between October 2016 and September 2017 – 28% were a result of cancer. Heart disease claimed another 1,643 lives and respiratory diseases 2,111, data from the Registrar General show. Last year Marie Curie supported 4,000 people with a terminal illness – cancer and non-cancer – at its 18-bed Belfast hospice and in their own homes. 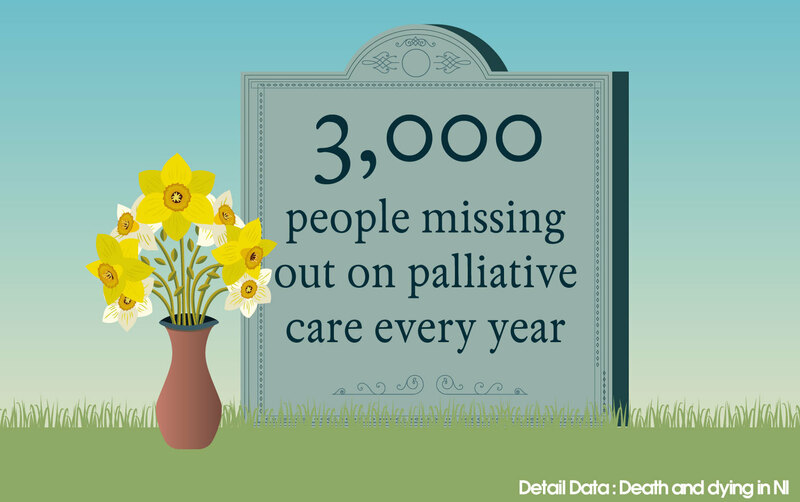 But the charity believes that 3,000 people who could benefit from palliative care (end of life care) are missing out every year because of a lack of awareness and reluctance to talk about death and dying. “We actually think this figure is grossly underestimated,” stated Joan McEwan, Marie Curie’s head of policy and public affairs in Northern Ireland. “The whole topic of death and dying is something that as a society we struggle with. It’s emotive and can be very difficult to deal with. I think that is one of the key barriers and therefore people are less likely to access the care they need. Palliative care addresses clinical symptoms, helps with pain management and provides emotional and practical support not only to the affected person but their wider family. Although people with cancer are more likely to use palliative care services, Marie Curie would like to see people with dementia, motor neurone disease and lung diseases also availing of palliative care, which can provide support from diagnosis right through to end of life and into bereavement as well. 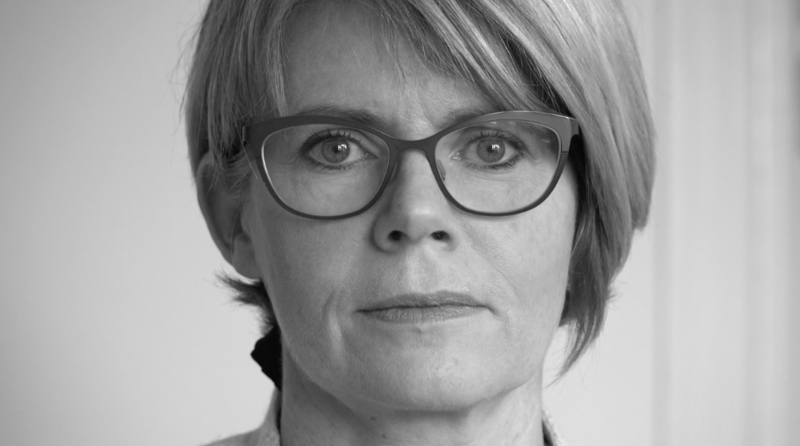 The impact of grief on those left behind is another cost that is often overlooked, warned Marie Curie and the National Association of Funeral Directors, which has 84 funeral homes in Northern Ireland as members. Issues can include mental health and conflict within families. NAFD’s Northern Ireland president, Gary Haire, who works for S Clarke & Sons funeral directors, said: “The normal grief reaction is by no means linear in how it affects people and can have long-term impact for years. “Indeed within the Northern Ireland context the effect of 40 years of the Troubles and the losses families experienced still significantly impinges in many individuals and families. Northern Ireland’s funeral directors also have firsthand evidence of the toll a death can take on families. “Families are often fractured in bereavement which can bring out the best and worst of individuals in the family when death is not discussed in advance,” explained Gary Haire. “Not talking about death in advance means that there can often be confusion or even fall-outs as to the type of ceremony the dead person would have wanted – burial or cremation, the songs or hymns, a religious or non-religious format. “We are increasingly seeing issues of conflict among families which is causing difficulties when it comes to funerals. Corrina Grimes, allied health professions consultant and palliative care lead at the Public Health Agency (PHA), said: “While it may not be something that we want to think about, the PHA would encourage everyone to think ahead to plan for the future in terms of their personal affairs and any wishes they may have for their care towards, and at the end, of life. “The reality can be that if we don’t have these types of conversations it can mean that people’s wishes go unfulfilled and families may struggle to make decisions. There may be important matters you want to address now rather than when time feels limited. 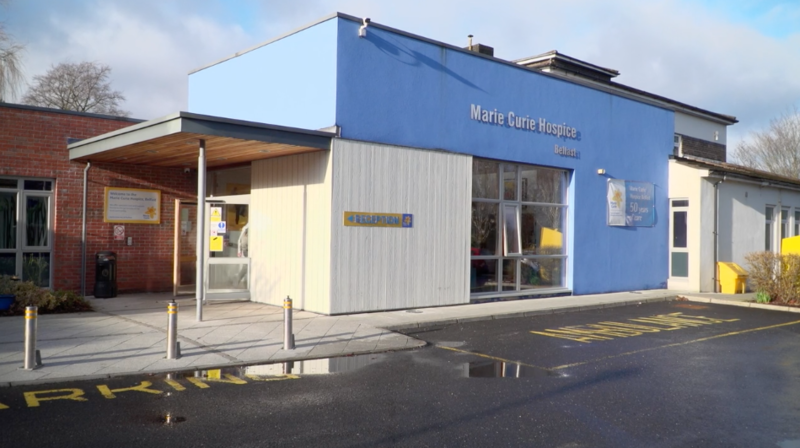 "The PHA, in partnership with HSC Trusts and the voluntary sector, also works alongside the All-Island Institute of Hospice and Palliative Care during Palliative Care Week each year to highlight these messages through a range of channels such as the media and online. "The PHA also uses the opportunity of Dying Matters Awareness Week to similarly highlight the need to plan ahead. This year’s Dying Matters Awareness Week takes place 14-20 May. This year’s Palliative Care Week takes place 9-15 September. "Enabling people to have advance care planning discussions is one of the key priority areas for the Regional Palliative Care Programme-Palliative Care in Partnership."